I just got back from a very busy weekend at the Homeschool Association of California’s (HSC) annual conference where in addition to spending time with many old friends and meeting many new ones, I had the distinct pleasure of interviewing two of the foremost advocates in the world of Self Directed Education, Blake Boles and Dr. Peter Gray. Blake for many years has run life-changing trips, retreats, and virtual workshops for unschoolers, homeschoolers, and other self-directed learners ages 14-19. These big adventures for self-directed teens bring together groups of teenagers who are hungry for new experiences, real-world challenges, and deep personal connections and judging from the praises I’ve personally heard from individuals who have participated in these programs, they are well-worth the investment. Blake has 3 upcoming trips planned in Southeast Asia and Spain, so be sure to take a look at his Unschool Adventures website if you have a teen or young adult who might be interested. In addition to his adventuring, Blake has also authored 3 books including his latest one: The Art of Self-Directed Learning. 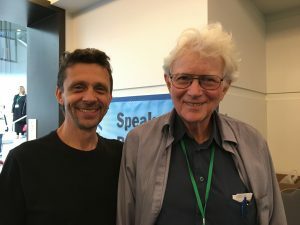 I’ve interviewed Blake before for my previous film Class Dismissed, and it was great to re-connect with him again and enjoy an in-depth conversation about unschooling and self-directed learning. their family’s status, race, or income. If you haven’t had an opportunity to check out the Alliance website, please do so and consider becoming a member to help support their vision. There are all kinds of great resources available on the website for new and veteran self-directed learners and the team of experts they have assembled is really something! So with these interviews out of the way and with all the other shooting I’ve been doing with adult unschoolers, I’ve already amassed quite a lot of footage for the film. I’m thrilled with the results and am happy to have have made so much progress in such a short time (I only started filming in February of this year.) Obviously there is much more to do, but with the way things are going, I hope to be able to share some sneak peeks with you all soon. More on that in a later blog. 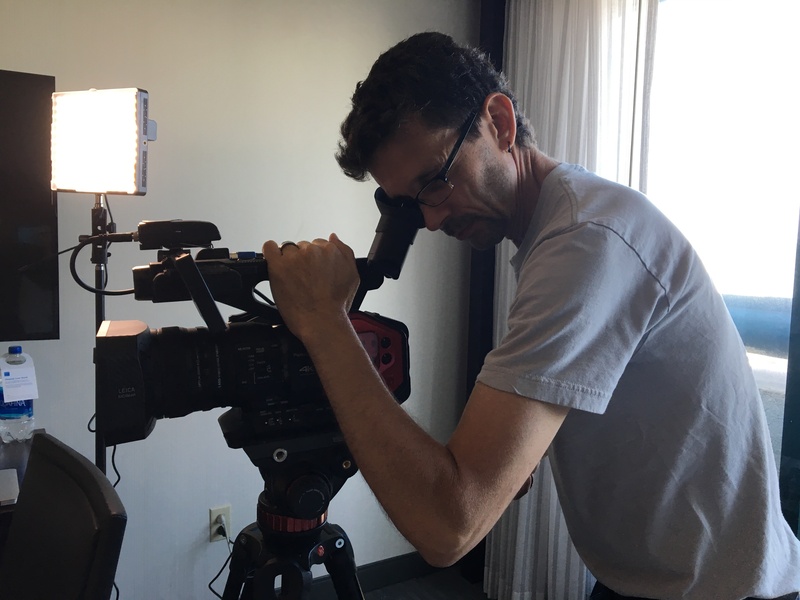 Thanks for your support and for following along and thank you to the board and organizers at HSC for giving me permission to film at the conference. Previous PostProduction Update #6 - The BIG Picture! So glad you’ll have Blake Boles once again in your film. I think he is such an asset to the self directed community as well as society in general. I’m a big fan. Just curious on whether your film will showcase the self directed learners who don’t go onto college. Upholding young people as trophies, for the S. D. side, showing how they ‘made it’ (because they attended higher education) and by extension are positive contributors to society and should now get the societal stamp of approval seems to be giving the stamp of approval that society is right – and S.D. learners can play the game just as well. I’m all for higher education if that is the path to pursue one’s passion. I’m also for the path that leads to passion and happiness without it. Just as the Alliance has a vision of all types of learning being equal, the vision of all lives matter and are equal -whether they have letters after their name, they come up with the next big medical break through – or they support themselves by making hemp bracelets is an amazing vision. Thank you for your film. Thank you for making me think. That is one of the best things we can do for each other, the world over. Pam Laricchia – have you heard of her? She’s a kind and generous blogger, podcaster and champion of unschooling/self directed learning. I highly recommend all her more current podcasts as well as the older TUC talks – Toronto Unschooling Conferences. She hosted them and has many interesting guests to check out. This was in regard to attempting to define unschooling. Just before that, in the podcast, they discuss Sandra Dodd’s definition. Worthwhile to listen to as well.